This article originally appeared in the St. Louis Beacon: Sunday evening some of the best musicians in St. Louis will gather to help one of their own. Kim Massie's story is one of never giving up your dreams, even now when illness strikes. More on that later. First, there's her story to tell. Until 1999, Kim Massie thought of St. Louis as the place she came from – not her home. At an early age, Massie – who has earned a reputation as one of the most popular vocalists on the area music scene over the past decade – moved away from her St. Louis birthplace to live in the Cleveland area. She spent more than 30 years in Ohio, raising three children and working to support them through a variety of jobs – while always holding on to her dream of a successful career as a singer. But that dream didn’t happen until Massie came back to her hometown. Here, Massie has built a growing career in music that has taken her to concert appearances from San Francisco and Seattle to Washington, D.C., and New York and music festivals around the country. She’s shared the stage with a variety of artists, including Cyndi Lauper, Chuck Berry, India Arie, Oliver Sain and Nelly. 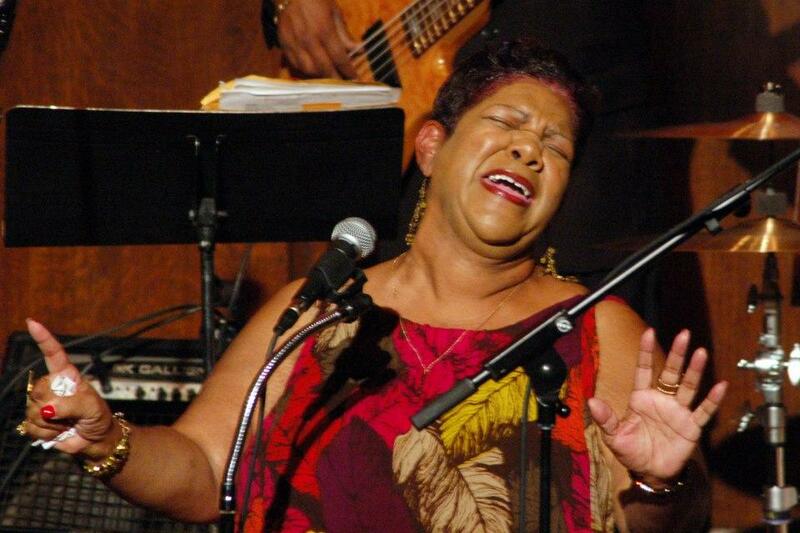 Massie has also recorded several CDs as a leader, and been named the recipient of the 2005 Grand Center Visionary Award for her musical talent. But when Massie made the move back to St. Louis, music was not the primary reason. She was looking for a fresh start for herself and her children after the end of a long-term relationship, and a move to St. Louis to be close to her mother seemed the right choice. Soon, Massie’s deep love of music – and the undeniable attraction she found to singing – set her back on the path of pursuing a career as a singer. “I sang gospel music from a very young age – ever since I was 9,” Massie said. “And I remember listening to everything – not just gospel – when I was a child. Motown, rock, country, I loved it all! I remember singing along to songs by the Young Rascals, “Spooky” by the Classics IV, even “Sugar, Sugar” by the Archies. Everything! And that ended up helping me out tremendously years later. Growing up, gospel was the only performance outlet Massie had. And it was an outlet she pursued with intensity. But other factors in Massie’s life pushed her focus away from dreams of music. She had her first child while she was in high school, and by the time she was ready to graduate, she was pregnant again. Earning a living to support her kids became her top priority. By the time Massie was in her late 20s and working steadily, she decided to get back into music – this time as the vocalist for a band. In the early 1990s, something else came along that gave Massie a new way to reach audiences with her singing: karaoke. “In 1992, I discovered this thing called karaoke,” Massie said with a laugh. “And that just sent me on a whole other path. Because I could sing any song I wanted to and didn’t need a band! Massie started entering karaoke contests in Ohio –twice she won Caribbean cruises, and several cash prizes. The karaoke competitions also helped Massie overcome her natural shyness and learn to connect with audiences. That growing confidence in her ability to be comfortable on stage – and in her vocal talent – paid major dividends after Massie moved to St. Louis and decided to try singing professionally again. It was at BB’s that Massie worked up the courage to ask St. Louis music legend Oliver Sain if she could sit in with his band. Sain agreed and liked her enough to keep calling her up to sing week after week. Jostes was starting his own blues club, Beale on Broadway, directly across Broadway from BB’s. He was looking for talented musicians who could perform weekly at his new club – and draw regular customers. “Bud heard me at BB’s and told me he wanted to feature me with a band every Tuesday and Thursday,” says Massie. “I agreed, and he helped me get a group together. This was in April 2001, and I finally had my own band! Soon Massie and Jostes put together a new band, the Solid Senders, featuring Matt Murdick and Tom Maloney. The combination clicked immediately, and soon Massie was attracting a growing audience to her regular Beale on Broadway performances. The band expanded, and Jostes began recording Massie’s sets. Her debut CD, “A Diva Survival Guide,” was recorded in late 2001. Massie then met Margo Garvin, who became her manager, and began booking her in other clubs around St. Louis. Eventually, Massie and Garvin parted. But Massie continued to build her presence in St. Louis as an in-demand artist – and began to find bookings nationally. The audience included several Lindy Hop dancers from other states, and Massie ended up being asked to perform on the West Coast. That led to an eight-city tour that included San Francisco and Seattle – and a recording session for Massie with a 10-piece Seattle band, the Solomon Douglas Swingtet. The recording, “Soul Serenade,” was eventually released in July of last year. Massie’s other recent recordings – “Inspired” and “A Lady By Choice” – continue to build her reputation here in St. Louis and around the country. At the time of this interview last week, Massie had just returned from the Fort Knox Blues Festival in Kentucky, where she appeared with Mavis Staples and Kenny Neal. Despite her recent success, Massie has faced a major challenge over the past year in terms of her health. In mid-August, she was operated on for thyroid cancer, and is recovering from her operation and follow-up radiation therapy. “It all started last year in April,” Massie said. “I went to my doctor for a checkup because I felt a lump on my neck. I was sent to a specialist for an ultrasound and they found a goiter in my neck. They decided to do a biopsy, and that revealed cancer cells. Surgery was successful, and 10 days later, Massie was singing again. At the follow-up visit after her surgery, additional cancer cell were detected behind Massie’s thyroid. When we talked, Massie had just completed iodine radiation therapy and had to be in isolation for several days after. 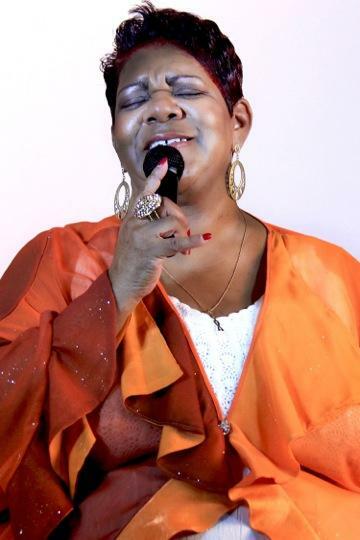 That concert is a Notes from Home offering at the Sheldon Concert Hall that will feature such St. Louis artists as Denise Thimes, Anita Jackson, Cheryl Brown, Roland Johnson and others contributing their talent to a fund-raising event to help Massie meet her medical expenses. Massie is very grateful for those who are performing, and those who are planning to attend. But she’s most proud of her son, Adam Massie, who put the benefit together. “This was all the brainchild of my son, Adam, and I am very pleasantly surprised,” Massie said. “He’s been so protective of me throughout the whole treatment and surgery. Then he told me one day that he wanted to do this. He did all the work, and with the help of Paul Reuter and Tim Albert at the Sheldon, put it all together. As she recovers from her surgery and treatment, Massie is already looking ahead to future projects once she’s fully recovered. For more information about Kim Massie and her music, visit her website: www.kimmassie.com. Terry Perkins is a freelance writer who covers the music scene in St. Louis.